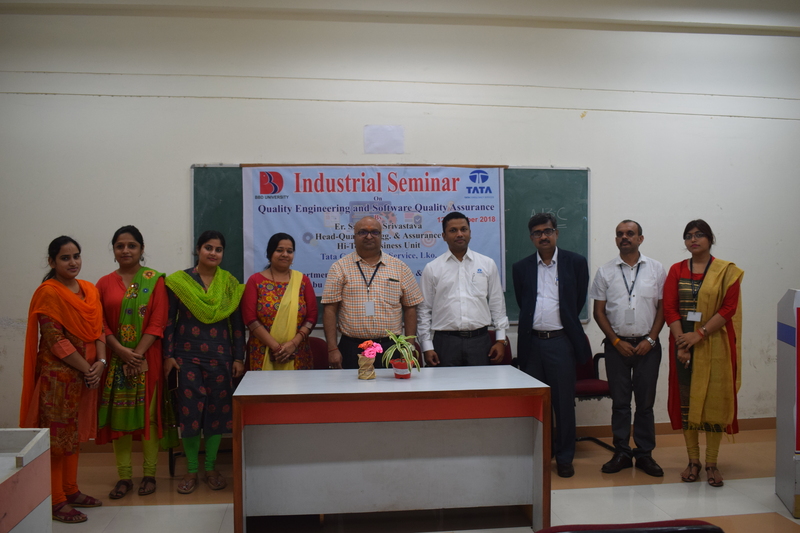 Industrial Seminar by Tata Consultancy Services, Lucknow for CSE branch students on 12/10/2018. Introduction to software quality engineering and continuous assurance practices. Key trends, industry perspective in continuous assurance and the way forward. This will be delivered by Mr. Saurabh Srivastava, Head, Quality Engineering and Assurance-HiTech Business Unit, Tata Consultancy Services, Lucknow which will be held on 12 October, 10:30AM -3:30PM at Room No 514, B-Wing, VI Floor, BBD University Lucknow.